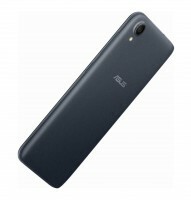 The roster of Android Oreo Go Edition phones in the US is growing – Best Buy and Asus partnered up to launch the Zenfone Live (L1). The phone is available today exclusively on Best Buy. It costs $110 with no plan, but you can save $50 if you buy a pre-paid package from AT&T, Cricket or Simple Mobile. 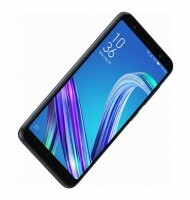 The specs include a 5.5” 720p+ screen, Snapdragon 425 chipset, 1GB of RAM, 16GB storage and a microSD slot (the 2GB/32GB version isn’t available). There’s also a relatively big 3,000mAh battery, plus an 8MP camera on the back, 5MP on the front, both of which have LED flashes. You can check out the offer here. Compared to the alcatel 1x ($100) you’re getting a bigger, sharper screen and a bigger battery. But I am also using the mobile version in my Mate 10 Lite. I think it is because of the display why my Samsung J1 Mini Prime loads faster. It only has 256K colors, while my Mate 10 Lite (and almost all other phones) has 16M colors.